Barking and Dagenham RM Handyman Hanging & Wall Mounting | Quality Property Care Ltd.
Do not forget to use our proper maintenance service! It is competitive and cheap, conducted to all specifications in security measures during fixes and repairs. Plus, we work 365 days per year, with no exclusions for weekends or holidays! Call us on 020 3746 4287 and get further info about our trustworthy property maintenance company right away! Not only the big abundance of various house improvement and repair services we offer, but also several other benefits have put Quality Property Care Ltd. on the leading position in UK-based handyman organisations. We get an extremely high rating for a handyman company in Barking and Dagenham RM, simply because we have a broad coverage! We are available in all England territory: including in Greater London and South East London! But also, we can boast with all of the following handyman services and company advantages: cheap prices, flexible schedules, no hidden charges, bargains to all loyal customers and every next booked service alongside with professional handyman! Before more than 15 years, Quality Property Care Ltd. noticed how often the people and businesses in Barking and Dagenham RM needed somebody to do the odd jobs which they couldn’t manage by themselves. 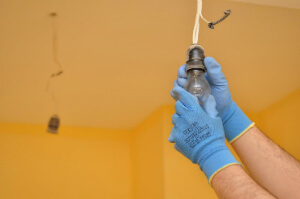 The idea of offering them an experienced odd job man London, grew into an entire business and a significant team of highly knowledgeable and multi-skilled handymen, who can offer a wide assortment of services from small and simple tasks to big and complex ones. 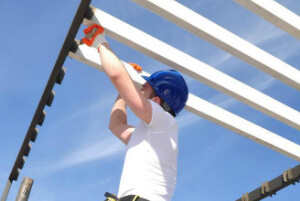 The main types of handyman jobs provided include: carpentry, domestic plumbing, electrical services, decorating and painting as well as a wide variety of odd jobs. You can request basic electrical or enjoy a full on rewiring job, all carried out by our professional handymen. Home electric jobs contain replacing switches and sockets, fitting dimmer switches, fitting doorbells, replacing extractor fans in restrooms and kitchens, basic maintenance work on kitchen appliances, for offices replacing transformers, replacing bulbs and installing dish-washers. For leased spaces and flats bathroom and kitchen area extractor installations, fitting appliances, installing chandeliers. This service is good for people who are searching for a reliable handyman, private customers, retails businesses and offices, restaurants, clubs, pubs, landlords, tenants, and property agents. Dear clients, our handyman assistance associates are available for your orders! You can order handyman services in Barking and Dagenham RM via the direct online form. Get a free offer today! Call us on 020 3746 4287 and we will respond to you right away!